Why do we close our eyes when we pray, cry, kiss, dream? Because the most beautful things in life are not seen but felt only by the heart. Every year I struggle with buying a gift for my dad. He has all the tools and golf clubs that a man could ask for and there are only so many hoodies one person should own. Sorry Dad, no hoodie this Father’s Day! This year, I have decided to make my dad a very interesting cake. 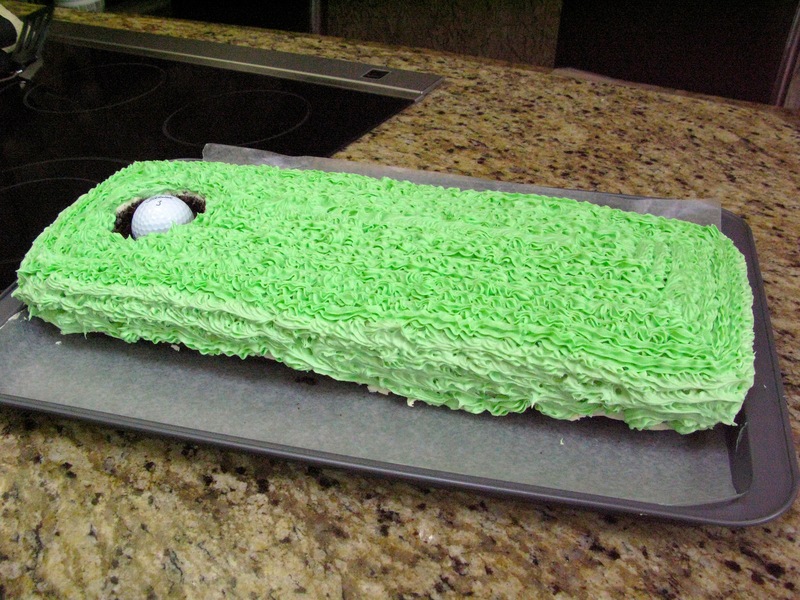 After a little inspiration from Pinterest, lots of green icing and chocolate cake baking, I managed to create a gift for my dad that I know he will love–a golf cake. After coming across this idea via Liz Hill on Pinterest, I knew I just had to make this cake for my dad who loves everything about the game of golf. Preheat oven to 350ºF. Grease and flour 2 – 9″ round cake pans. 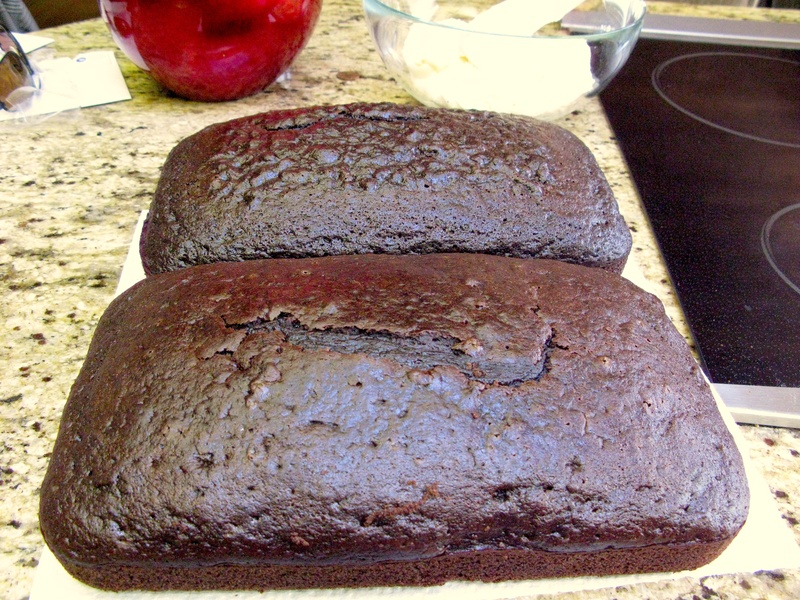 Combine flour, cocoa, baking soda and baking powder. Mix well and set aside. Beat together eggs, sugar and vanilla in a large bowl for 3 minutes, using the high speed of an electric mixer. Mixture should be smooth and creamy. Reduce speed to low and beat in mayonnaise until blended. Add flour mixture in batches, alternating with water, in 4 equal additions (1/4 of the flour, then 1/4 of the water etc). Pour the batter into the prepared cake pans. Bake for 30 to 35 minutes, until the center of the cake springs back when lightly touched or until a toothpick inserted into the center of the cake is clean when removed. Cool in pans on a wire rack for 10 minutes. 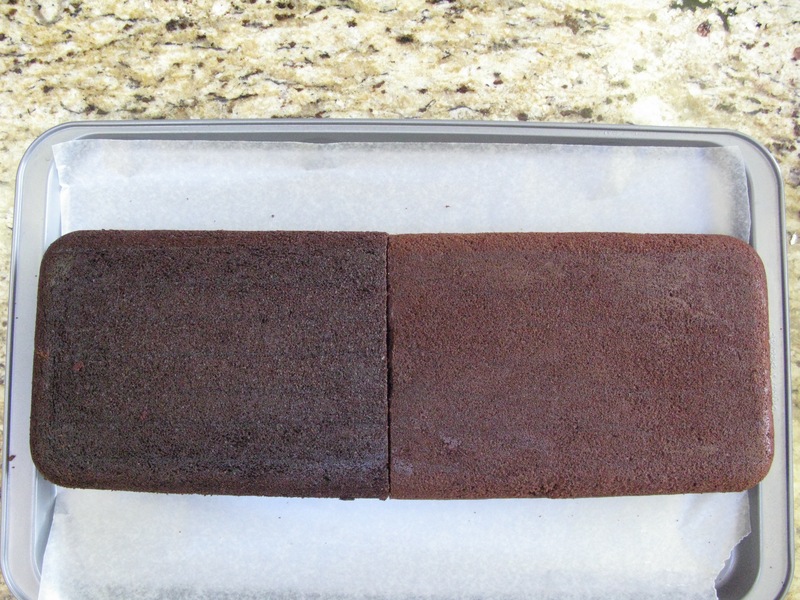 Remove from the pans and allow to cool completely before frosting with your favorite frosting. Serves 10 to 12. Once the cakes are baked and cooled (I cooked them for ~38-40 minutes as I did not use a round pan), level the tops of the cakes off with a bread knife so you can use the bottom as your even surface. Frost the cake with white icing. 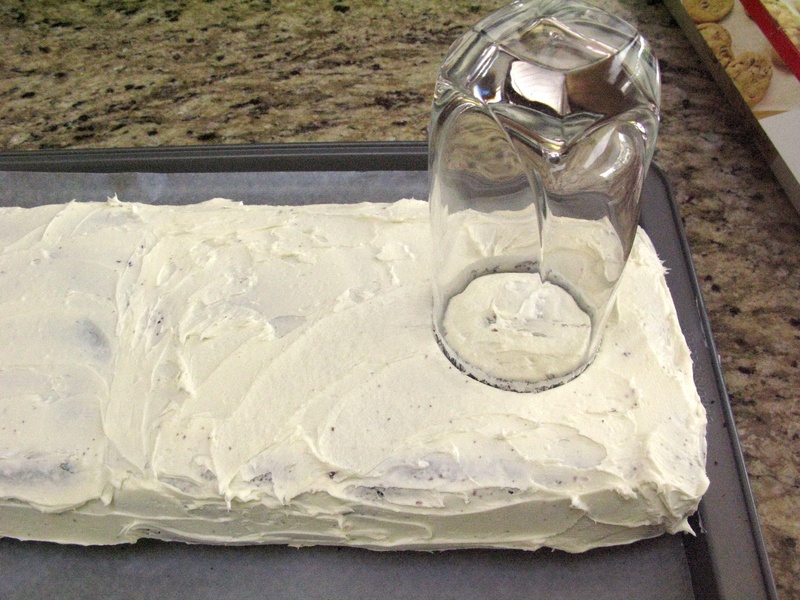 Use a cup of your choice to cut out a hole in the cake. Only press about half way down into the cake and remove the portion in the cup. 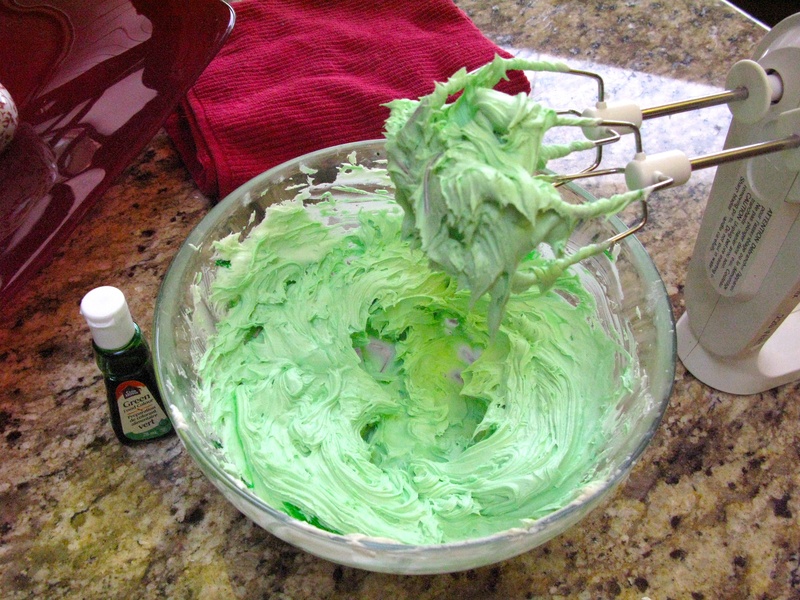 I followed a simple cream cheese icing recipe and added a few drops of green food colouring. Using an icing gun, I used a star tip to create ‘grass’. 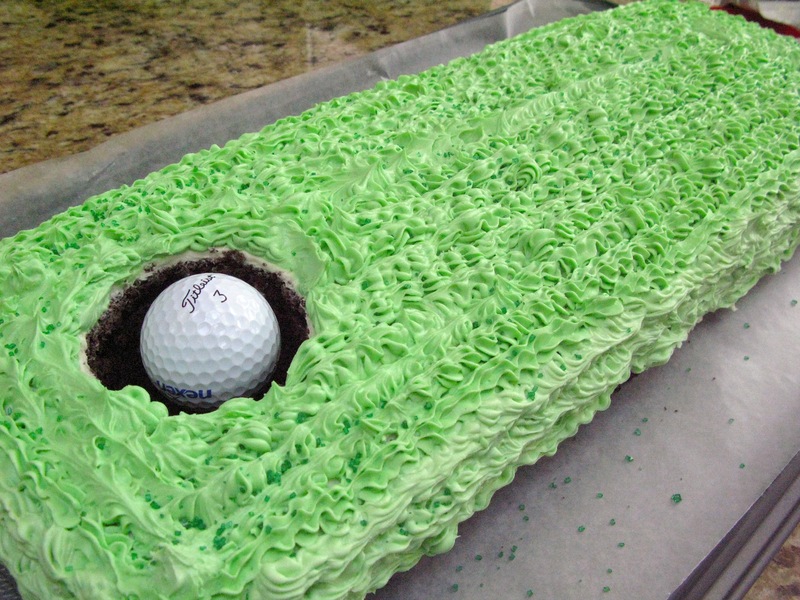 After icing the cake, place a golf ball in the hole and you are set! 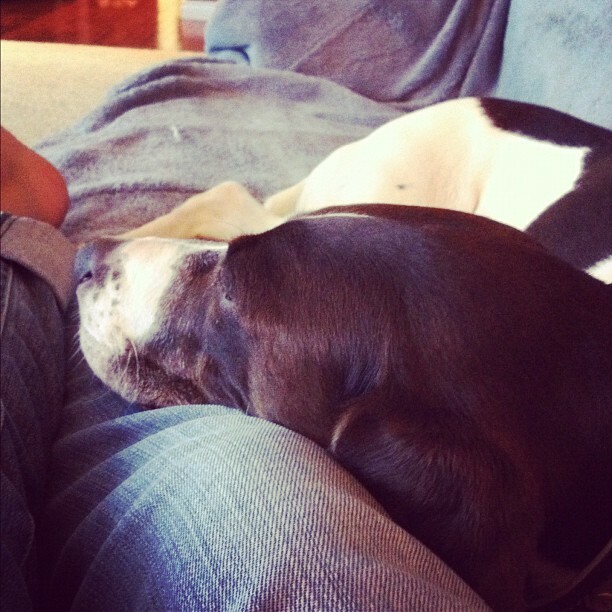 Baking, watching movies, cuddling with Scout, and making cheese cannelloni for dinner. Can you think of a better way to spend a gloomy day? 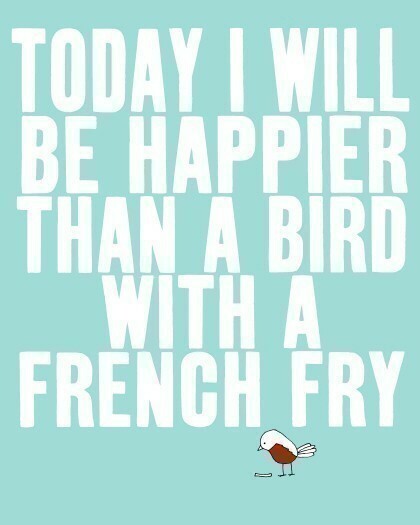 There are some beautiful, inspirational quotes out there but this is definitely one of my favourites. Perhaps I am biased because The Great Gatsby is still one of my favourite novels. 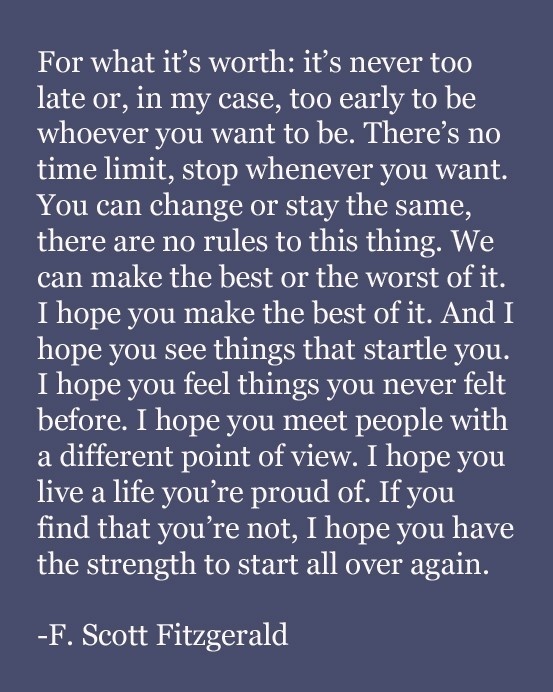 Or maybe Fitzgerald is simply brilliant and well spoken. Yes, that’s it. It was a pick that just kind of happened when my professor said “here, read it”. It had a picture of chicken on the front and the only thing that enthralled me were the uneven pages on the inside—great, I thought. I am happy to say that I have rid myself of my uncertain attitude towards A Complicated Kindness and quite enjoyed the novel. Being the first book in almost a year that I have read for enjoyment and not for a class, I found myself sitting like a bump on a log, fully engrossed in the book when I normally anticipate the closing of a chapter. 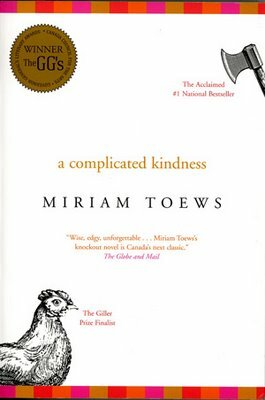 Although the book’s ending is rather sad, the book as a whole (which isn’t about chickens at all) is refreshingly funny and Miriam Toews’s writing style is unlike any other. It is quirky, honest, non-clique, and the spurts of beautiful language amongst sarcasm, profanity and thinking aloud allow a reader to feel for the main character and her troubled self. It could be the quirkiness of the book that i loved so much or simply Toews’s writing style but i do know that i will be reading another book by Toews in hopes to fall in love with another one of a kind story.